Who goes into the night, so they can save the day? Who are these heroes to show you the way? They’re the PJ Masks and my boys all have a favourite. Owlette [Jens] Gekko [Hero] and Cat Boy [Yotie]. 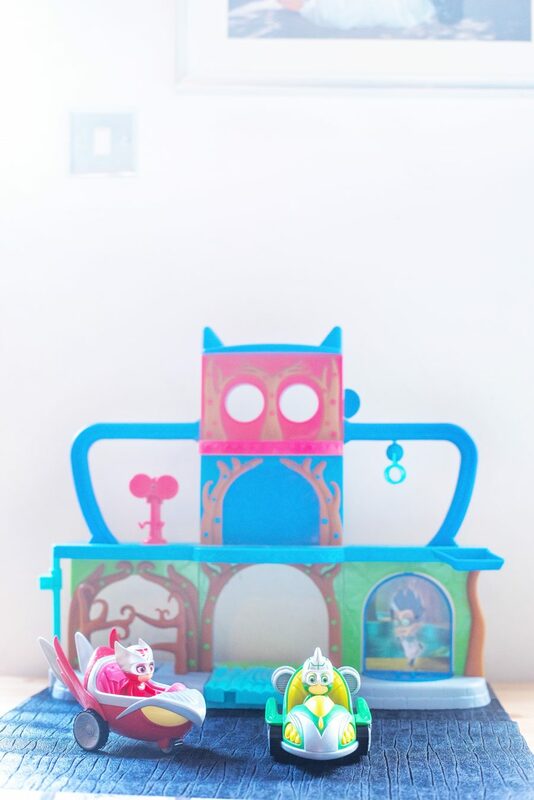 They watch their adventures on Disney Junior and we’ve got nearly every toy that’s been released so far! 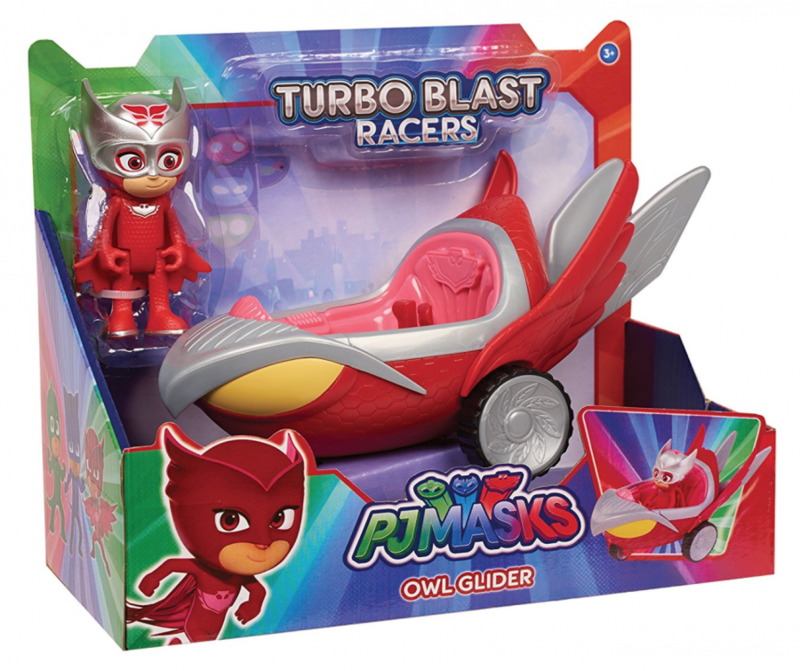 Now they’re back with PJ Masks Turbo Blast Racers! Our turbo racers are waiting outside our PJ Masks Headquarters, ready for action! 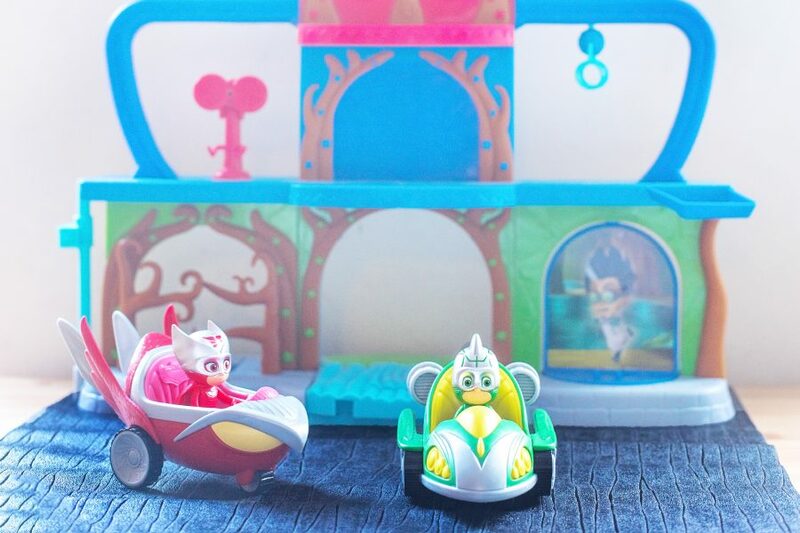 PJ Masks Turbo Blast Racers come with a 3-inch figure which fits neatly into the vehicle. Romeo’s fits three figures and we think Night Ninja’s does too – but we haven’t checked that one yet! 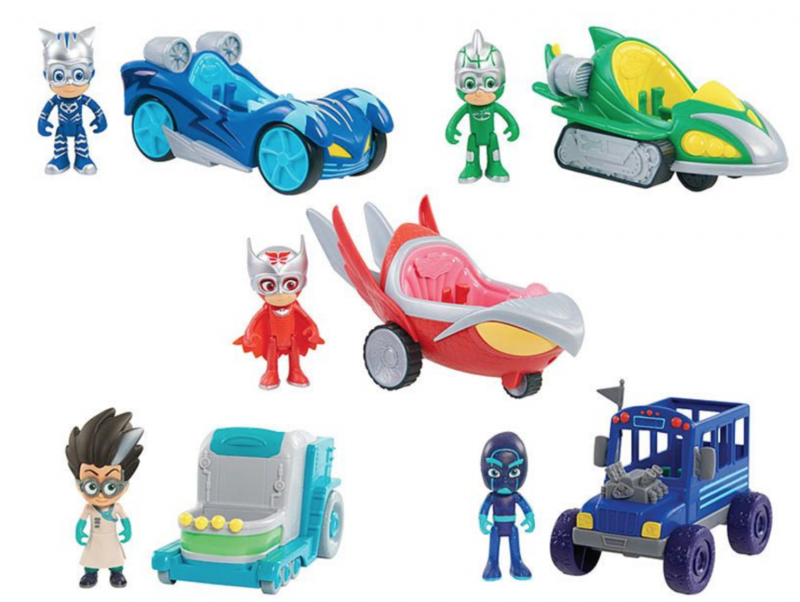 Each PJ Masks figure is dressed in their Turbo Racer gear ready to race. That the figures are dressed in different costumes – now we don’t just have duplicates of the figures we’ve had before, and they’re special. That these are quiet toys! No sirens, no random phrases chirping out in the middle of the night to creep me out when the batteries are running low or they’ve jammed against another toy. That the figures don’t fall out of the vehicles. They’re secure and so when they go turbo across the floor, they don’t fall out. Even the Gekko Turbo racer has a hole for his tail to pop through! They’d included Luna Girl – we think she’d like something turbo! 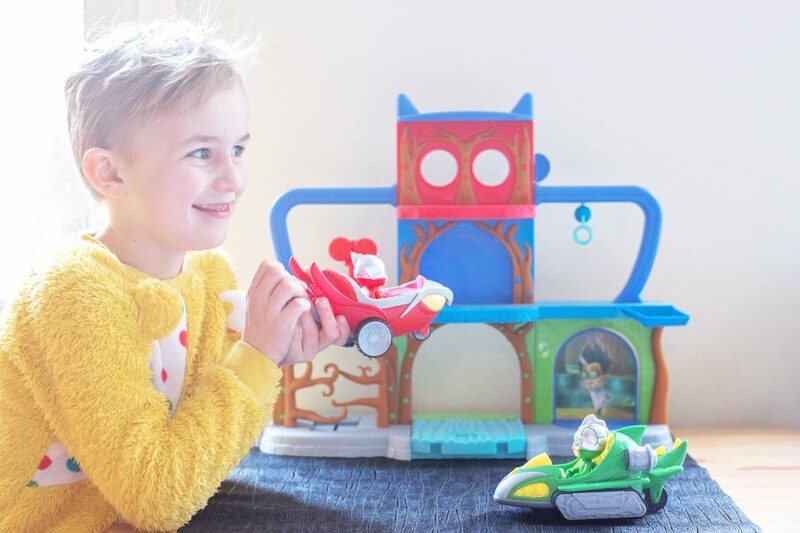 PJ Masks Turbo Blast Racers are a great addition to our PJ Masks collection! At around £14.99 they make great birthday presents – and we’re excited that later in the year, Romeo’s Lab is set to be released so that the bad guys have somewhere to hang out, too!